If you head down to the O2 in Greenwich later this year to catch an event, you may notice an unusual attraction winding its way through the crowds of tourists. Seven fully electric, fully automated shuttles will be carrying people around the peninsula. They will navigate autonomously, using a combination of lasers, sensors, cameras and some very clever software developed by UK researchers. This trial, part of the government-funded GATEway project, will explore how autonomous vehicles will address our future urban mobility needs and the barriers that need to be overcome before these vehicles become a reality on our roads. Advances in sensing technology, in computing power and in data science are triggering some truly extraordinary innovations in mobile robotics. British companies and universities are at the forefront of these developments and GATEway is only one of many projects in the UK in this field. Much of this relies on our world-leading regulatory regime, which provides space for innovation to flourish. 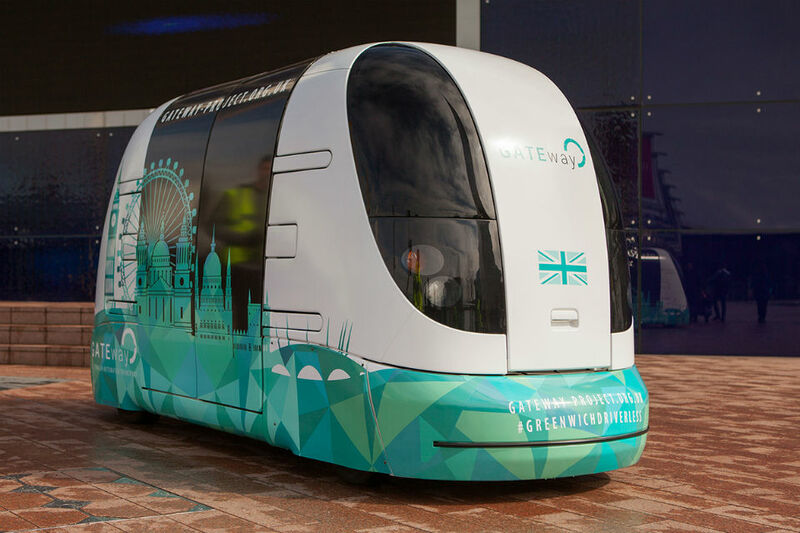 You can test automated vehicles on any road in the UK without needing to seek permission from a network operator, report any data to a central authority, or put up a surety bond. As long as the vehicle is roadworthy, you have insurance and you follow our traffic laws. Our Code of Practice for testing automated vehicle technologies, published last July, is now being copied by other countries. In some areas, UK companies and universities have world-class capability. Oxbotica, a spin-out from the University of Oxford’s Mobile Robotics Group, is widely acknowledged as one the best teams in the world at autonomous vehicle navigation. Alongside this, the UK has strength in depth in some of the underpinning technologies for automated driving, such as mapping, machine intelligence, human factors research, cyber security, and data science. We also have a world-class research and demonstration programme, supported by over £100 million of government funding, coordinated by the joint DfT-BIS Centre for Connected and Autonomous Vehicles. Unlike much research elsewhere, ours is collaborative by design, with car-makers and technology companies learning alongside insurance companies, law firms, and local authorities. Major international companies are now doing autonomous vehicle research in the UK for the first time as a result. 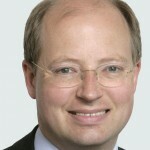 These strengths, along with this country’s attractive business environment, well-established vehicle test facilities, engaged network operators and status as a leader in finance, law and insurance, mean most informed commentators see the UK as one of the handful of countries that are global hubs for autonomous vehicle development. Volvo’s recent decision to make London the next location for its DriveMe programme, alongside trials in Sweden and China, demonstrates this. In the 1830s the London and Greenwich Railway was opened, the first steam railway to be built in the capital. It is to be celebrated that British engineers, scientists and entrepreneurs, working alongside government, are once again helping to transform the way we travel, echoing the work of these early railway pioneers. If you are keen to experience this technology for yourself, you can even sign up to take part in the GATEway trial. It would be great if this technology can be developed to its full potential. I am unable to drive for example due to my disabilities, but having an automated car like the one above would open up a whole new world for me. I would no longer be reliant on public transport and have the freedom to go somwhere without booking a taxi. So for disabled people this technology would be life changing. For now though i will still commute to work on the train. If i win the lottery i will hire a chauffer to be on call 24/7 to drive me to where i want to go! But if this techology is truly developed properly, then i can go out myself whenever and wherever i want to go! The autonomous vehicle complete with on-board lasers/sensors/cameras appears to be an upgraded larger version of the robotic vacuum cleaners currently for sale. Perhaps larger versions of this cleaner could be used in a similar way at conference centres such as NEC/O2 centres and later in city/town streets? Use of these vehicles in the small hours at night in cities/centres would avoid conflict with day traffic/people using the centres? This is great and glad to hear that we are once again one of the forerunners for innovation that this country does not get credit for. Welcome to the dystopian future where jobs are ever increasingly replaced by robots...will a universal basic income be implemented when people are no longer able to work? Why not just develop cheaper hybrids and make use of more public transport if the environment is the big issue? However i do think if we can invest in driverless technology, as i have stated in my original response then it would open up a whole new world for somene like myself who has multiple disabilities and therefore restricted in my mode of transport.